Newcastle head coach Steve McClaren has said today on BBC Newcastle that the club can become one of the top 10 clubs in Europe, but he has stressed that everybody associated with the club must be pulling in the same direction – all rowing in the same direction so to speak. Steve took over yesterday and said all the right things – but the real change at Newcastle is that from Mike Ashley down – there is now a will to win a trophy – to win something – which we haven’t done since way back in 1969 – 46 years ago and the goal now is to break that streak. 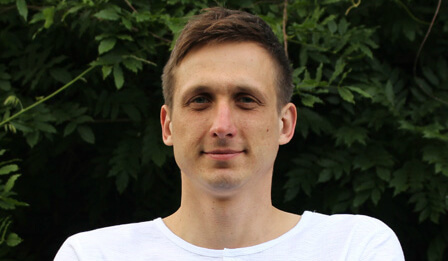 Steve has won two trophies in his career – the League Cup in 2004 with Middlesbrough (their first every trophy) and the Dutch championship with FC Twente in 2010 (their only Dutch Championship in their history). Steve’s also the first head coach at Newcastle to have won a trophy in his career since the great Sir Bobby Robson was in charge from 1999 through 2004 when Bobby had us in the Champions League twice in that time. There were some positives yesterday that we didn’t expect, including a new Board of Directors which seems a step up from the old Board. Former Newcastle striker Mick Quinn also called Steve a “clever guy” – and we know what Mick means – McClaren seems to have loads of common sense, and hopefully he will complete his coaching team very soon. Some of our Newcastle players may even be excited to return to a club that seems to have got some of its ambition back – after eight years under Mike Ashley. That has to be a huge positive at Newcastle, whatever you think of the owner. 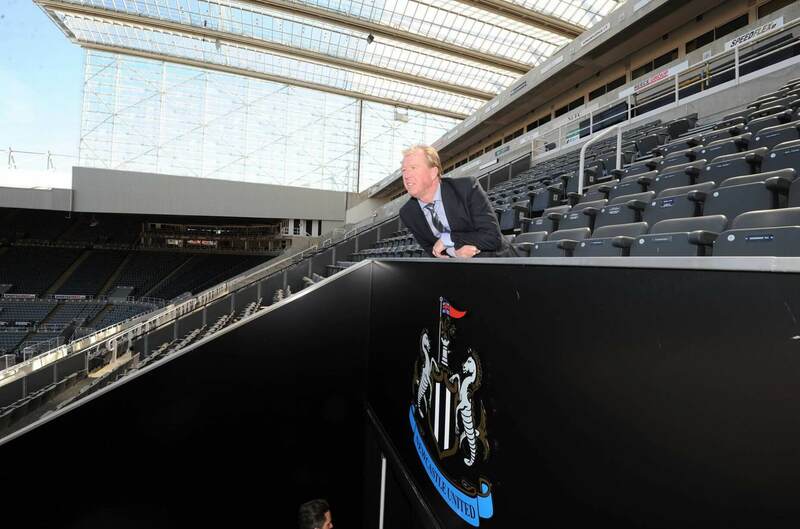 Can Steve McClaren Be Successful At Newcastle? 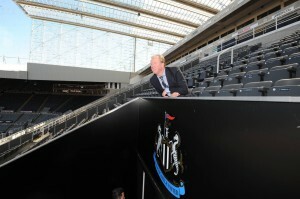 Previous Post Can Steve McClaren By Successful At Newcastle? Yes I agree that Englishness is largely irrelevant. The Premiership teams that have won the league title and cups have been made up of mixed nationalities. The key is the head coach/manager getting them to gel together and work as a unit and giving them the confidence and determination to win matches. I like what McClaren is saying but he needs the club to put their backing behind his words and loosen the purse strings, until we have the players to compete with a top ten finish it’s all just PR. I’ll back him to the hilt but I need to owner to prove his track record thus far is a thing of nightmares rather than the operating procedure. Looking forward to our first signing. Hope we have a few by early next week. The club still behaves according to the SD remit of secrecy and skulduggery by the look. Let’s see just how much the ‘new look’ coaching team gets support in the way of transfers, and if Mclaren carries on the propaganda spewing that Carver took over from pardew. I’m sure souness won trophies too before he came to the too. And he worked out to be a good manager for us, NOT. I’v really touched a nerve here havn’t I? Lol. I suppose we are just going to have to wait and see if it benefits our squad or not, NUFC are looking to build a more English base within the squad according to McClaren. No, I wouldn’t knock back those players, not at all, but we could never get them also, we get a Gouffran, Sissoko and Cabella. Austin and Ince I’d take as a decent start to the rebuild, but there needs to be more brought in also. Ince on the left is quick and has skills to go past people and deliver good on target crosses and on the right he acts like an inside forward using his pace and dribbling skills, he only needs to work o his finishing. Links to Dutch players or Dutch League players cropping up all over. If Ince comes in it could be to compete with Sammy or replace him or Gouffran. I’d take Townsend aswell, canny shout. I’d sell Tiote to boost transfer funds and work Bigri back into the team. Tiote is forever a liability. You rate McClaren based on his record. His record is a mixed bag. People have short memories. Tiote is one fo our very few genuine internationals. The starting defensive midfielder of the African champions. Derby have a buyout clause as part of the Ince loan deal, so will need to wait and see if they move I guess. Sorry…how were Middlesbrough top ten in Europe!? We are a Top Club in Europe – just that we haven’t been behaving like one ! I think that scoring a goal from a corner would be a more realistic ambition for a Newcastle Coach. Why did he get an injunction to stop something that’s already been widely reported in the media ? “In fact, despite the loyalty of the Rangers fans seeing £7.6m spent on retail in the year covered by the accounts, the club’s share of that spending is a paltry £590k. That means that for every £10 spent by Rangers fans on merchandise, the club receives only around 75p. The accounts also reveal that Rangers Retail has an obligation to purchase stock at a higher price than it is able to be sold at. “In the second half of the year covered by the accounts it appears that the portion of profit due to the club is an unbelievable £2k. “For comparative purposes, the much maligned JJB agreement, our previous retail deal, made the club a minimum of £4.8m a year over the term of the deal, over 8x the amount we are making from Sports Direct. This is our current squad’s international status. Mike Ashley’s Sports Direct has won a court injunction against Rangers disclosing confidential information about its retail deal with the club. It prevents Rangers revealing details of their contract to an extraordinary meeting of the Championship club called by Ashley and being held on Friday. The Newcastle United owner and Rangers shareholder asked for the EGM to force the club to pay back a £5m loan. Sports Direct was also awarded costs of £20,000 at the Royal Courts of Justice. Gateshead following in Newcastle’s footsteps, they’ve released their GK by twitter!! the positive flo on the blog is great..hoping it all turns out like we hope!!!! excited, but feeling like the rug is going to get pulled! TICKET ALERT: Season ticket prices for United’s 2015/16 campaign have been frozen. Waiting for the back room staff. I wonder why wasn’t Woodman fired. Did he say he will leave with his son or what? They are obviously looking compensation for Woodman. Because they know Crystal Palace want him. So instead of having to pay Woodmans contract up, Crystal Palace pay them. Move Colo Out and who’s suppose to come in ? Staylor?